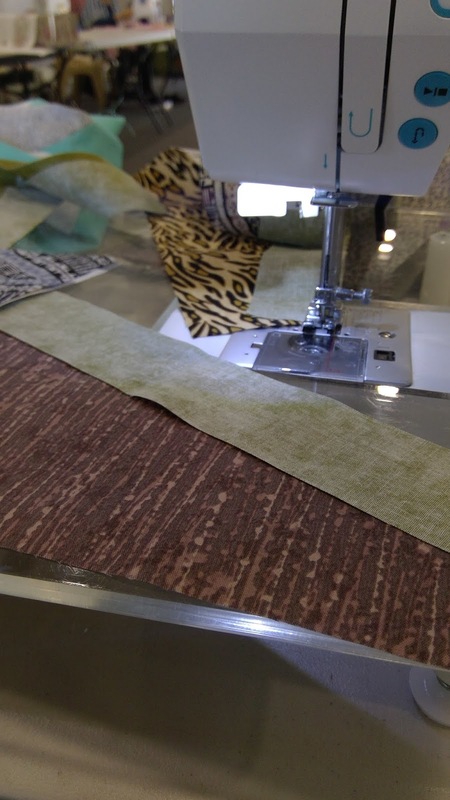 I am so lucky to be part of a group that has regular sewing retreats - they are held just down the road and I go for the days... and lovely full days of sewing they are... with a good mix of yummy food, great company and the odd chocolate, and maybe cake ….. I took Ocean Deep to work on the Friday …. 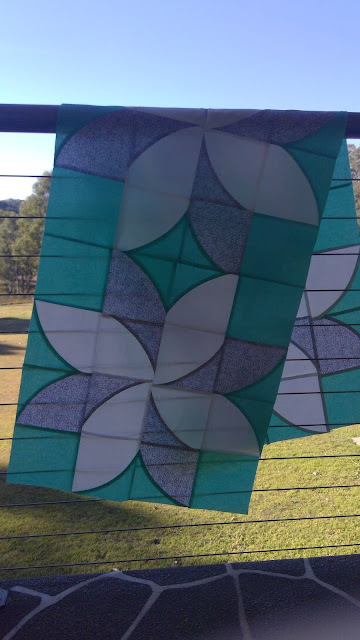 I had done the pieced strips and it really was just adding the other strips on.... I really love this …. 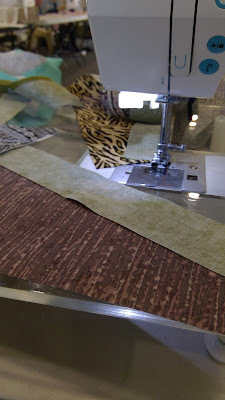 Saturdays sewing consisted of using a Quick Curve ruler to make this runner. I'm delighted with it. The grey has subtle bits of shiny silver in it. 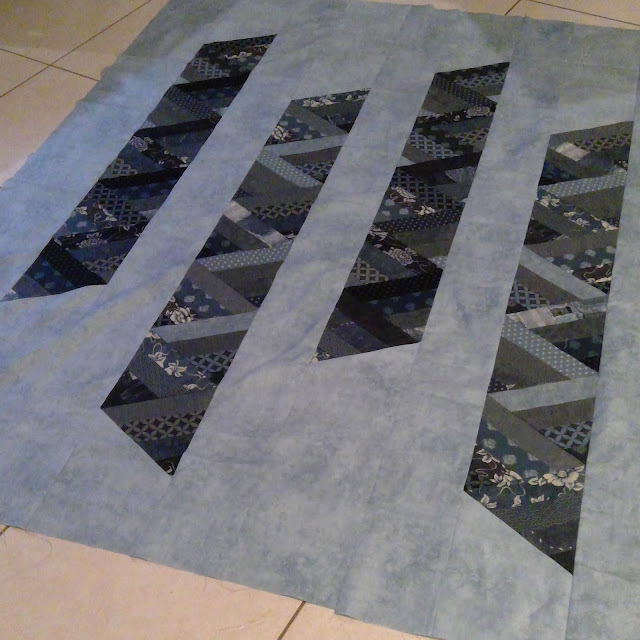 It is about 18" x 54" so quite big and I'm looking forward to having some fun quilting it. The pattern for this is a freebie from Sew Kind of Wonderful. Of course you need the special ruler but I did this from start to finish in a morning. 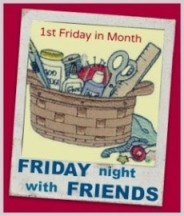 I'm hoping to get this together tomorrow …..
Righto, Gotto Go... need to get some sleep. Hope you are all having a lovely weekend …. Lovely work. The runner would look great as a bed runner. Great projects....a great way to enjoy a retreat! You have been so busy!! Love your projects. Looks like a great weekend. Ocean Blue looks great and I like your curves..